So How Goes Efforts on Free Monthly Stained Glass Pattern- Flowers & Dragonflies? 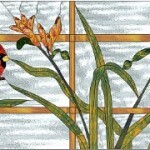 So how goes your efforts on Free Monthly Stained Glass Pattern- Flowers & Dragonflies? Are you getting lost in “A Warm Summer’s Day”? http://www.panedexpressions.com/free-stained-glass-patterns.html Choosing glass? Cutting, grinding and foiling piece number 322? You’re almost there. Want to share photos of your progess? We’d love to see them. 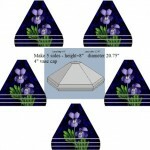 It’s Spring & the April Free Monthly Stained Glass Pattern is Posted!